I love the Carrie Bebris' Mr. and Mrs. Darcy mysteries, if those count as an adaptation. If we're talking film, I think I would have to go with Bridget Jones' Diary. AWESOME contest! I don't know how I would ever choose 3! It's hard for me to like Austen spinoffs, as the real thing is just my favorite. So I'm going to say that I adored the adaptation to film of Mansfield Park. With Minnie Driver. Sooooo good! I loved the film adaptation of Pride and Prejudice with Kiera Knightley. I've been rediscovering Austen love recently. I read Pride and Prejudice and Zombies, which I didn't think added a whole lot, but my favorite spin-off would be Bridget Jones Diary. It absolutely cracks me up. What wonderful holiday giveaway. I suppose my fave Austen-esque spinoff is Bridget Jones. So many more look great, but I haven't had the chance to read/view them yet. I also enjoyed Hale's Austenland. This giveaway rules! I love the film adaptation of Pride and Prejudice. My fav so far is probably Lost in Austen. I do wish they'd make another modern Emma though. Wow! I would love to be entered in your wonderful draw. Thanks!! Mmm I liked watching the Jane Austen Book Club movie. And I LOVe the Pride&Prejudice moview tih Keira Knightly (although i'ts the only version I've seen). I keep meaning to read Sense & Sensibility and Persuasion. I love Lost in Austen, a British show. Very cute, inspired me to look into Jane Austen but unfortunately I still don't have time! It's hard to choose a favorite spin-off... maybe Bridget Jones's Diary. Great giveaway! Bridget Jones is my favorite spin off! My fav adaptation is a cross between the 1995 P&P (I know, I know, it's not faithful but that scene at the end is so amazing!) and "Clueless." 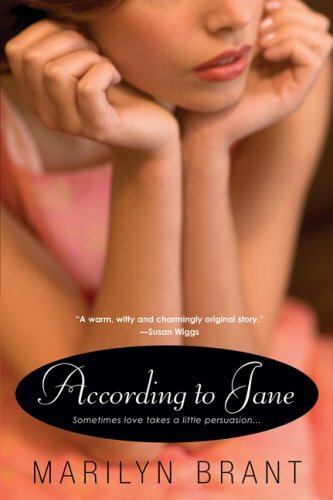 My favorite spin-off is Confessions of a Jane Austen Addict - I can't wait to read the sequel! Oh my good, this giveaway is perfect for me! I cannot really say which Austen spin-off is my favorite. I love so many of them. Bridget Jones's Diaries are great. Also this book by Juliet Archer called The Importance of being Emma is really good. And Lydia Bennet's diary by Jane Odiwe. My favorite Jane Austen adaption is Pride and Prejudice made by BBC in 1995. I can watch that over and over again! Oh, wow... I don't think I could pick just one! I like a lot of Austen spin-offs... the Darcy Saga series by Sharon Lathan, Marsha Altman's The Darcys and the Bingleys. 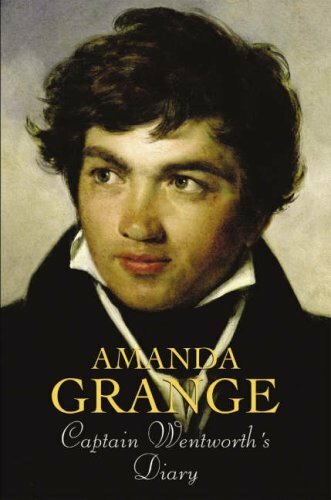 I'm also a fan of Amanda Grange and her "diary" series. I'm with Shannon, its so hard to pick one. If I have to pick it would be Pride & Prejudice BBC mini-series with Colin Firth. Gosh I adore him. bella (at) abibliophile (dot) com. I like "Mr. Darcy & Me" !! I loved the movie adaptation of Emma, with Gwyneth Paltrow. I still need to check out Lost in Austen!!! 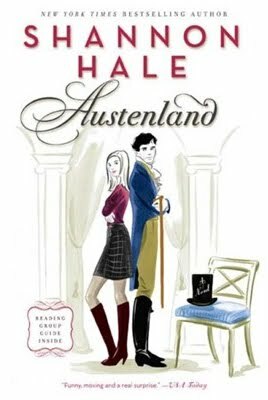 My favorite so far has been Austenland by Shannon Hale. It was a quick, fun, and light read. If we are talking movie adaptations...I have to go with the old BBC P&P. 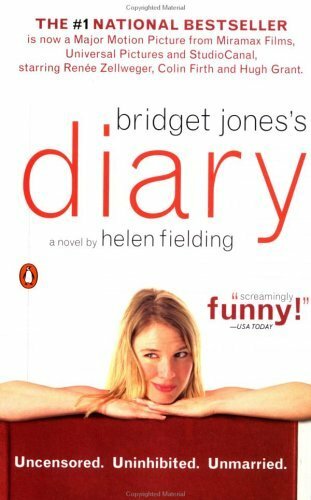 Favourite Jane Austen-inspired book: Bridget Jones's Diary, which in most ways is a retelling of Pride & Prejudice. I also loved The Private Diary of Mr Darcy by Maya Slater. I laughed so hard through reading Bridget Jones that I have to go with it! Thanks for the fun giveaway! I love so many adaptations that the answer to this changes all the time for me. But right now I'd have to say I'm in love with the new BBC adaptation of Northanger Abbey with Felicity Jones and JJ Field. I've only watched Pride and Prejudice the movie, and I love it! Count me in please. As for my favourite, I'd have to go with the 2005 film Pride & Prejudice. My favorite Austen adaptation is the Keira Knightley version of Pride and Prejudice. I think my favorite adaptation would have to be the most recent Persuasion. It always makes me smile. I just finished Carrie Bebris's two mysteries and liked them very much. would really love to be entered in this contest and thanks ever so much for making it open for overseas readers. Much appreciated. I too loved Lost in Austen (I watched it 3 times in the week I rented it -- and it's not all that short...). But I have to give a shout-out to Clueless, too, because it cracks me up seeing the little bits of Emma crop up. !!!! Would make an awesome Christmas gift to split with my best friend! We both LOVE Austen. My favorite Austen spin-off is Clueless. It's cute and silly, but totally follows the plot of Emma. 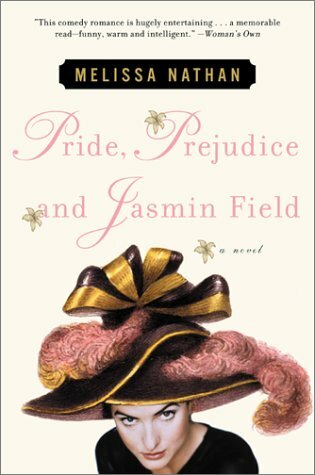 my fav austen spin-off is "Prada and Predjudice by Amanda Hubbard.